You are at:Home»Blog-News U can Use»Do You Know the Difference Between Strategic Sourcing and Category Management? –The Discussion Rages On…. 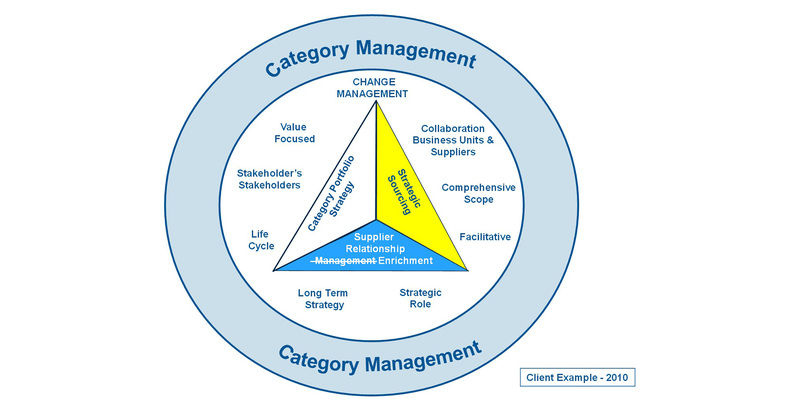 Do You Know the Difference Between Strategic Sourcing and Category Management? –The Discussion Rages On…. All I can say is WOW! Based on the response to my blog post two weeks ago, I obviously struck a chord. I have been flooded with comments – most positive, some still skeptical (believe me, I get it!) One comment read: “This doesn’t work in the real work environment. Nice drawing though ”. I work with clients every day to help them move along the maturity curve toward Value Creating (Category Management) and I can tell you that it is HARD (which is why most companies are not there yet) but it is DOABLE! Please note that you need to move your organization to “Value Creating” across all the domains (e.g. strategy, globalization, demand management, etc.) which is where the challenge lies. 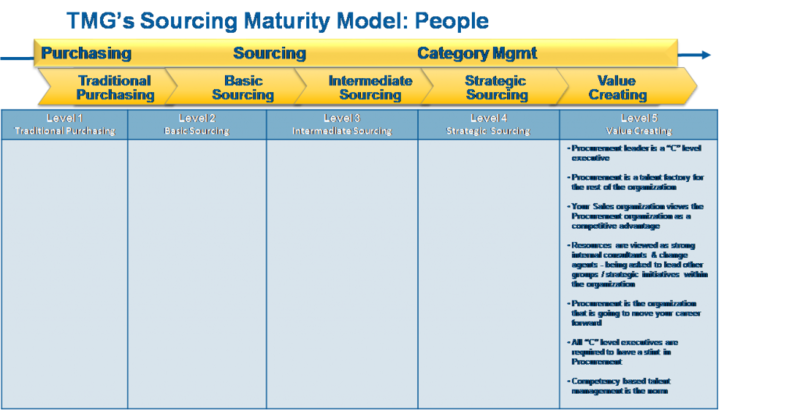 In addition, you can’t “skip” maturity levels – in other words, you must have reached and mastered the Strategic Sourcing level before you can move to Value Creating (Category Management). This journey takes time and resources and many, many organizations do not have the commitment to stay the course. As you move through each maturity level, you are making important changes within your company (Procurement and the rest of the organization) that are necessary, build credibility and cannot be rushed. We have had many prospective clients, who are NOT at the Strategic Sourcing maturity level, ask us to help them do Category Management and they are not happy when we articulate what it is going to take to get there. Having done this numerous times in every size organization across many different industries, the journey itself (the how) is well worth the pain and the Return on Investment for the company ,as well as individuals who are part of it, is tremendous. Procurement leader is a C-Level executive – This only happens when Procurement is viewed as a strategic partner and a major contributor in achieving the strategic objectives of the corporation. Procurement is a talent factory for the rest of the organization – Can you say that about your organization / people? Your internal business partners should be knocking down your door to engage you in supporting the development and execution of their strategic plan and even raiding your group for top talent. Your Sales organization views the Procurement organization as a competitive advantage – When you are operating at the Category Management level, your customers ASK to meet the people within the Procurement organization because it can help eliminate concerns over supplier risk and the ability to meet delivery commitments. Resources are viewed as strong internal consultants & change agents – being asked to lead other groups / strategic initiatives within the organization – Your organization must operate like an internal consulting practice (with all the skills required to do so). If you have the right people with the right skills, then there is no need to use external consultants. Procurement is the organization that is going to move your career forward & all C-level executives have had a stint in Procurement – An organization that is at the value creating level has people that are highly skilled AND highly sought after both internally and externally. Competency based talent management is the norm – When Category Management is the goal, you MUST determine the competencies required to get there AND it is not just functional procurement skills. Rather it is the strategic competencies (change management, problem solving, collaboration, communication) that will be absolutely necessary in getting to Category Management. Competency based talent management (the last attribute noted above) is the key to getting your people where they need to be to reach the Value Creating (Category Management) level. First, you need to define the required skills / competencies, then identify the gaps and finally develop a plan to close those gaps. By the way, you can get there in a variety of ways. You can outsource the people side by hiring consultants (they are expensive and may not help you build a sustainable solution). You can recruit new people who have the required skills / competencies (hint – the skills that are most important are not procurement process skills). You can provide training and on-the-job learning to your existing staff OR you can do a combination of all three. Regardless of your approach you MUST “invest” in the people domain to get to your ultimate destination – Category Management. Since this is such a hot topic, please join in the conversation . . . . . . . . . . . .
and stay tuned for an upcoming webinar series (No date set yet) on “Do You Know the Difference between Strategic Sourcing and Category Management?” Please register today! If you are interested in getting the proceeding from our last PERT (Procurement Executive Round Table) meeting on this topic OR would like to talk about some of our client experiences (I always love a good one-on-one debate) please just send us a quick email @ ricks@thempowergroup.com. 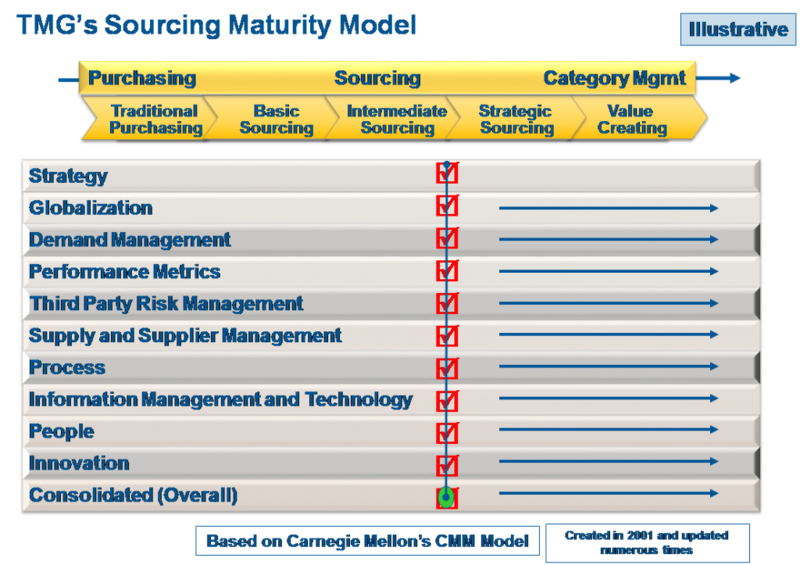 Previous ArticleStrategic Sourcing vs. Category Management – The Discussion Continues……..